When chatting with people about real estate the conversation commonly finds it’s way to “The Bubble.” Many people are concerned about rising values of homes and think that it indicates we are on our way to another bubble. When I found this chart I knew I had to share it, as it is very helpful in explaining where current home values are: This graph shows what home values would be in a normal/stable market; this is represented in white. 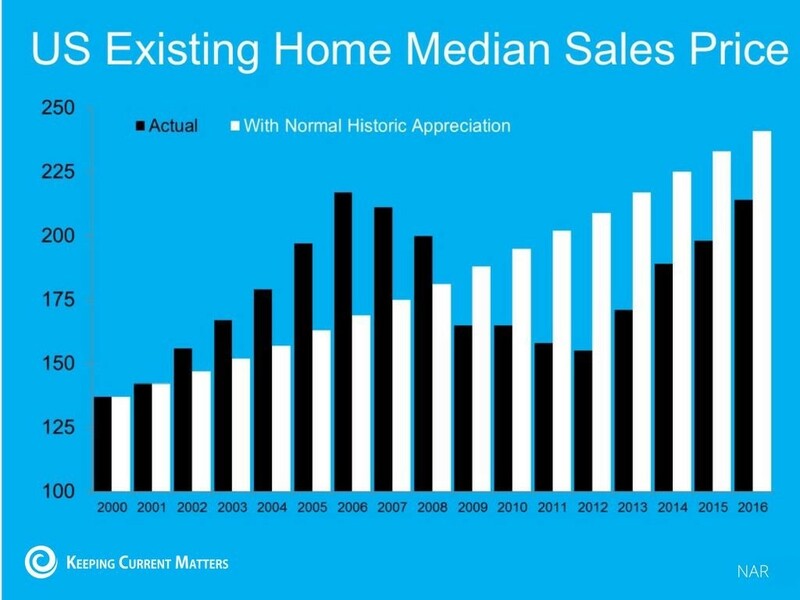 The black bars show what home values actually were over the last 16 years. As you can see, even though home values have been rising the last 4 years, we are still below where values would have been if there never was a bubble and burst. Due to this, many experts believe we are not headed towards another bubble. In Clark County we also have other economic factors that help support our home values rising, including a growing job market, low inventory, as well as overall more affordability as compared to other metro areas along the West Coast. I hope this was helpful. If you have any questions, please call me!